Chuck Jones didn’t start his work life with a seven-figure loan from his daddy. He doesn’t have tens of millions of Twitter followers. He can’t offer Carrier hundreds of thousands of dollars a year in tax breaks. He can’t threaten its parent company’s federal contracts, or promise to rewrite the laws governing corporations in ways it likes. He is not the president-elect. So, no. Chuck Jones could not singlehandedly save jobs at Carrier that, by the way, Indiana Gov. Mike Pence had not been able to keep in the state when he was a mere governor without a notorious bully backing him. Jones could only negotiate the best deal he could backed by the power his workers and his union had been able to build, person by person—and he was doing that in the face of an economy shaped by union-busters and greedy billionaires like Donald Trump. Jones then responded to the tweet on CNN, saying of Trump: “If he wants to blame me, so be it, but I look at him and how many millions of dollars he spent on his hotels and casinos, trying to keep labor unions out, you know, so, I like my side, trying to work to make people’s lives the best they can be,” Jones said. Jones, who said the union wasn’t involved in the negotiations, said he’s working to lift his members’ spirits. He said he didn’t have time to worry about Trump. Don’t forget—Jones is working to lift his members’ spirits because more than a thousand of them will be out of work while the president-elect runs around claiming to have saved their jobs. 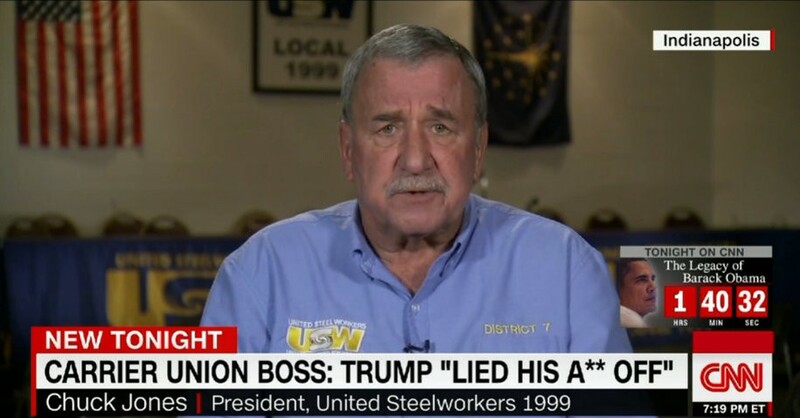 And by the way, CNN and Politico, Jones is not a “union boss,” unless you want to start calling Trump “U.S. boss” (not that he’d mind). Jones is the elected president of his union local, not an autocrat. This article originally appeared at DailyKOS.com on December 7, 2016. Reprinted with permission. All of the dog-eared methods for dealing with this global crisis in steel have failed. 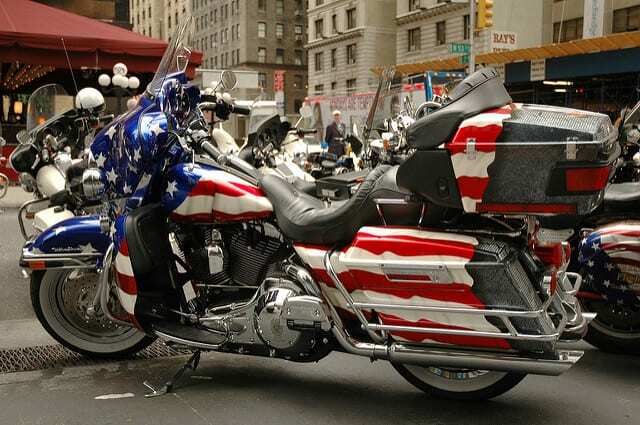 So American steel executives and steelworkers and hundreds of thousands of other workers whose jobs depend on steel must hope that President Barack Obama used his private meeting with China’s President XI Jinping Saturday to press for a novel solution. Because on this Labor Day, 14,500 American steelworkers and approximately 91,000 workers whose jobs depend on steel are out of work because China won’t stop making too much steel. A new report on the crisis, titled “Overcapacity in Steel, China’s Role in a Global Problem,” by the Duke University Center on Globalization, Governance & Competitiveness flatly concludes that existing policies to stop China from building excessive steel capacity have failed. 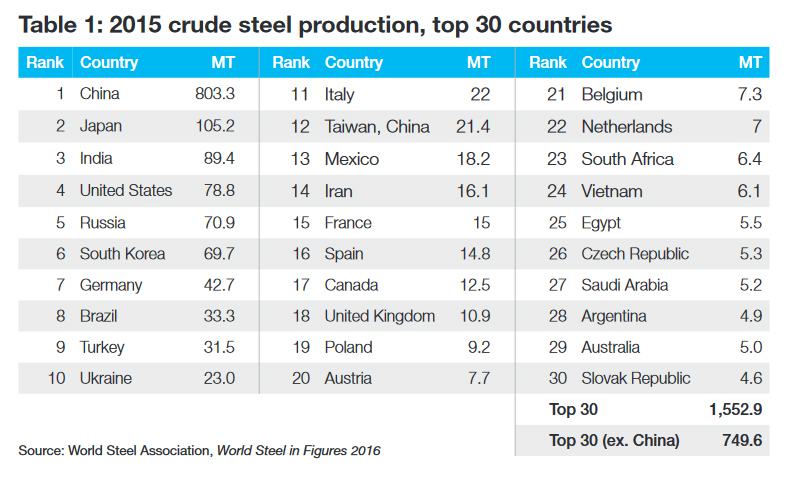 Since 2007, China has added 552 million metric tons of steel capacity – an amount that is equivalent to seven times the total U.S. steel production in 2015. China did this while repeatedly promising to cut production. China did this while the United States actually did cut production, partly because China exported to the United States illegitimately subsidized, and therefore underpriced, steel. 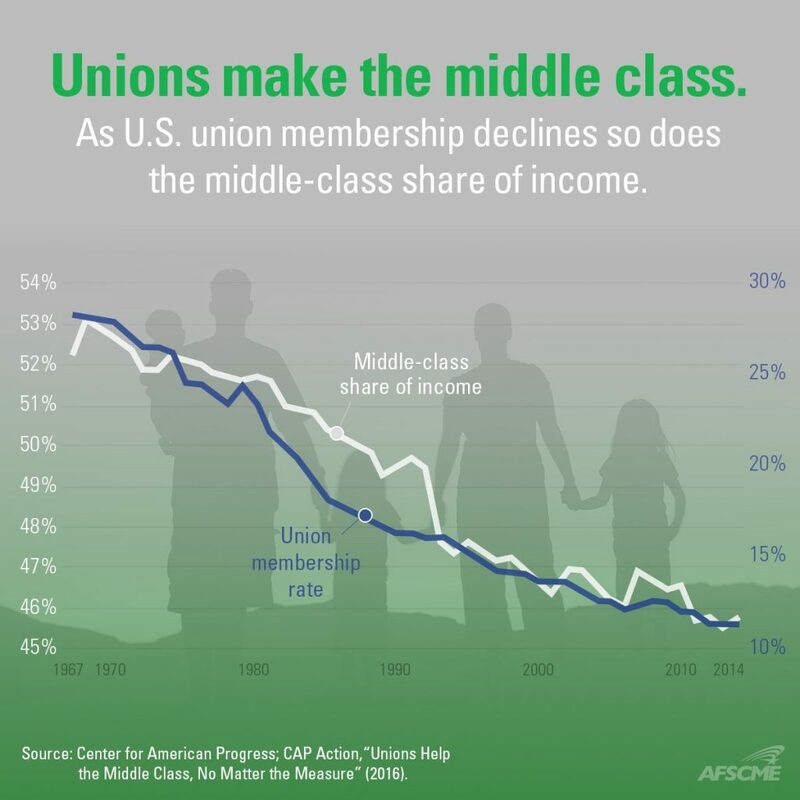 Also last week, the Economic Policy Institute issued a report titled “Union Decline Lowers Wages of Nonunion Workers.” It explained that the ability of union workers to boost nonunion workers’ pay weakened as the percentage of private-sector workers in unions fell from about 33 percent in the 1950s to about 5 percent today. Politicians Keep Promising Free Trade Agreements Can Protect Workers. We Should Stop Believing Them. That is true—if the businesses are in America. There’s not much point in American candidates soliciting votes from workers at factories that U.S. corporations closed here and moved overseas with the help of free trade agreements (FTAs). Decade after decade of free trade, presidents promised workers that the deals set the highest standards for labor. And decade after decade, the federal government failed at enforcement, placing Americans in competition with child laborers, underpaid and overburdened foreign workers and victims of human trafficking. On trade, Sen. Paul got it right for working people. He opposed Fast Tracking approval of the 12-country Trans-Pacific Partnership (TPP) through Congress. He was on the losing side of that vote, though. So the Fast Track plan for Congress to relinquish its responsibility to review and amend trade agreements awaits action this week in the U.S. House of Representatives. House Republicans who believe in supporting American workers, not just pandering to them, should join Sen. Paul in voting no on Fast Track. Clinton claimed the North American Free Trade Agreement (NAFTA) was the first deal ever containing teeth to enforce labor standards. 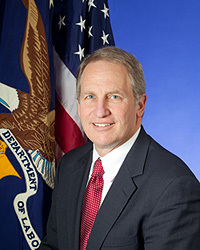 George W. Bush’s U.S. Trade Representative (USTR) contended the Central American Free Trade Agreement (CAFTA) had the strongest labor provisions ever negotiated. Obama administration officials assured Americans that the Peru, Colombia and Panama agreements, and now the TPP, have the greatest worker protections of all time. Americans have found themselves competing with children coerced to work in foreign factories, trafficked and forced labor, and foreign workers so mistreated that they jump to their deaths from factory buildings. American consumers find themselves buying products made in unsafe buildings that collapse or burn, killing thousands of foreign workers. The USTR, who is supposed to enforce the labor provisions of trade agreements, along with the U.S. Department of Labor (DOL) and Department of State, has failed. That’s according to two reviews by the U.S. Government Accountability Office (GAO). After a damning GAO report in 2009, the USTR promised action. A second GAO analysis in 2014 reported little change. Since Colombia finalized a free trade agreement with the U.S. in 2011, two dozen Colombians trying to improve the lives and wages of workers through collective bargaining have been murdered every year. And these murders are committed with impunity. There are virtually never arrests or convictions for killing trade unionists in Colombia. Colombia’s trade deal with the U.S. and its “enforcement” by the USTR, DOL and the State Department have done nothing to change that. Admittedly, this is a titanic challenge. What the United States is trying to do is tell other countries, often ones far less wealthy, how their businesses should treat workers. The United States hardly would take kindly to Guatemala telling it that the U.S. minimum wage is so low that it amounts to forced labor. This blog was originally posted on In These Times on June 2, 2015. Reprinted with permission. About the Author: The author’s name is Leo Gerard. 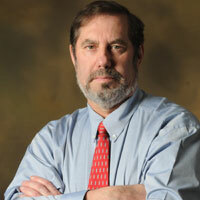 Leo W. Gerard is the president of the United Steelworkers International union, part of the AFL-CIO. Gerard, the second Canadian to lead the union, started working at Inco’s nickel smelter in Sudbury, Ontario at age 18. 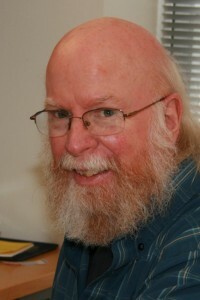 For more information about Gerard, visit usw.org. Is Korea FTA Job Loss, Deficit Growth a Harbinger of TPP? Has failed to produce good jobs and the evidence on exports is clear. Our export growth rate in the past 20 out of 21 months is below the average monthly level seen before the FTA was signed. The monthly U.S. trade deficit with Korea has ballooned 45 percent when compared to the pre-FTA level. 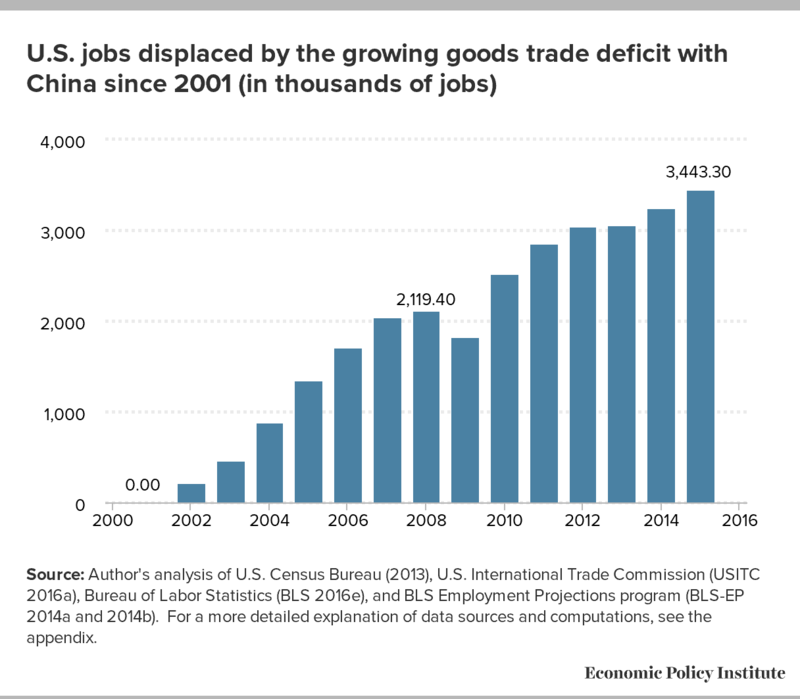 The damage from KORUS and other free trade deals have been shown by the Economic Policy Institute to have caused the loss of tens of thousands of good-paying U.S. manufacturing jobs. He warns that if TPP has the same negative and growing impact as KORUS, America’s job losses and the effect of trade imbalances will multiply. Read more from the USW. In related trade news, there is still time for you to sign the petition to Congress to stop the legislation (H.R. 3830/S. 1900) that would give Fast Track trade authority approval for all major trade agreements over the next four years, including the TPP. Under the Fast Track process, Congress can only vote yes or no on the full agreement. It cannot amend, improve or fix any flaws in the bill. The North American Free Trade Agreement and other job-killing trade deals were approved via Fast Track. 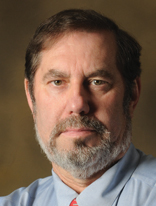 This article was originally printed on AFL-CIO on March 14, 2014. Reprinted with permission. At a time of year when many workers are taking family vacations, uranium workers at Honeywell’s plant in Metropolis, Ill. won’t have that option. On July 27, the company announced a vacation freeze. United Steelworkers Local 7-669, which represents workers at the plant, claims that the decision is just another salvo in a three-year-long battle by Honeywell to bust the union. Honeywell is currently in the process of rehiring several hundred operations workers at the uranium plant who were laid off in July of 2012 when the plant shut down for earthquake-safety improvements requested by the Nuclear Regulatory Commission. Earlier this year, Honeywell began slowly rehiring the laid-off workers—both hourly union employees and non-union salary employees—to restart the plant. Now all but 21 of the 200 union employees have been rehired as the plant moves toward full operationality. But instead of rehiring the final 21 union workers, Honeywell is proceeding short-staffed and calling in workers on their days off to make up the gap. In order to put pressure on the company to rehire the 21 laid-off union members, some union employees are refusing to work any overtime (and passing up the time-and-half pay). In response, Honeywell announced that because of the staffing shortage, no workers can take a vacation this summer. Effective immediately, all vacations are cancelled and no further vacations are to be granted in operations including individuals’ days—that includes all hourly and salaried staff. The purpose is to assure we are staffed to support operations and to continue to get the remaining units on line so we can support our customers. … I am disappointed it has gotten to this but we have no choice due to employees not responding to call ins and taking care of their responsibilities…. This vacation freeze will be lifted as soon as the business needs of the plant are being effectively met by people coming when they are called. The union speculates that Honeywell has an ulterior motive for not hiring the remaining 21 workers: It doesn’t want to rehire Local 7-669 President Stephen Lech. Under the union contract, Honeywell is obligated to rehire all of the laid-off union employees according to a mutually agreed upon list developed according to workers’ qualifications and seniority. The next person on the list is Lech. “It’s directly targeting me for my work as union president,” says Lech, who thinks that Honeywell is trying to send a message about the length that the company is willing to go to crush the union. The union says that instead of following the list, Honeywell has told the final 21 workers that they must compete against outside applicants and reapply for their jobs as if they were new hires directly off the street. “It will take six months before the case even gets before an arbitrator and another six months before the arbitrator rules,” he says. Workers are refusing overtime in the hopes that they can resolve the issue sooner. Many were planning family vacations and were outraged by the vacation moratorium. Honeywell did not respond to request for comment for this piece. Lech says that despite being laid off, he is undeterred from his work for the union. This article originally appeared on Working In These Times on August 12, 2013. Reprinted with permission.